SharePoint Trenches: SharePoint Weekly Backup cycle script. 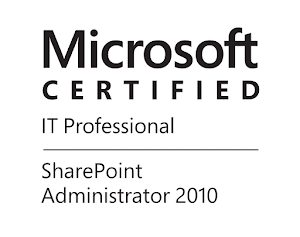 In this post I am going to share a script for SharePoint backup I wrote for one of our customers. Since we had no budget for a 3rd party backup solution I decided to use the native SharePoint backup capabilities in a script. For me the SharePoint Farm backup is a good solution if you do not have any advanced 3rd party tools like DocAve for example or your Farm is not very big. Amongst DPM,SQL backups, File System backups the SharePoint farm backup is the best solution in case of disaster and you have to restore the entire Farm. You can see the following article for details on the different methods. The drawback with the SharePoint Farm backup is that it is not very granular and it can be a bit slow in large environments. For example in Web Applications the lowest level object you can restore is Content Database. However, you can restore a content database and then use Recover data from an unattached content database and restore site, web or list. Still, you will not be able to directly restore an item for example. Be aware that if you try to restore a content database from Farm backup to a live Farm you may receive error similar to the one below. Restore failed for Object 2K8R2_SP_Content_Portal_Bla (previous name: 2K8R2_SP_Content_Portal) failed in event OnPostRestore. For more information, see the spbackup.log or sprestore.log file located in the backup directory. FatalError: Object 2K8R2_SP_Content_Portal_Bla (previous name: 2K8R2_SP_Content_Portal) failed in event OnPostRestore. For more information, see the spbackup.log or sprestore.log file located in the backup directory. SPException: Cannot attach database to Web application. Use the command line tool or Central Administration pages to attach the database manually to the proper Web Application. In this case I am restoring the old content database 2K8R2_SP_Content_Portal to a database with name 2K8R2_SP_Content_Portal_Bla. However SharePoint will try to attach the restored content database to the Web Application and it will fail because we already have a content database with that ID. 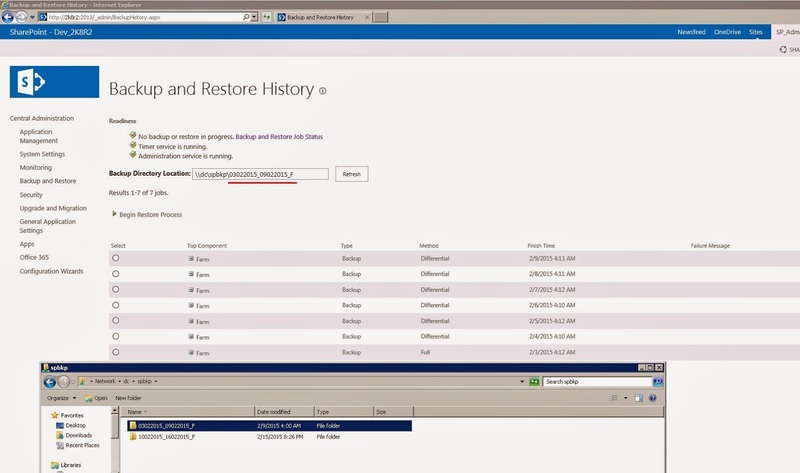 However the restored database is completely okay and you can see it in the SQL Server Management Studio. The customer required to have a backup once a day and to keep the backups for one month. We were also disk space constrained. There are many SharePoint backup scripts, but I wanted to have a different folder for every week and also to have one full and the rest of the backups to be differential in order to save some free space. Additionally you can enable SQL Server backup compression to save more disk space. The script I wrote is doing this, also it can backup only the configuration. The script is doing a 7 day cycles, when a new cycle starts it will create a new folder that resembles the start, end and the type of the backup. For example if you start a full backup cycle on 14.02.2015 the script will create a folder with name 14022015_20022015_F (Dates are in EU standard ddMMyyyy). Since it is new cycle the script will start with Full farm backup. Then all the backups until 20.02.2015 will be differential. Here how it looks one weekly cycle. The script will also do a clean up. You can specify how many cycles you want to maintain and it will keep them and the old backups will be deleted. Do no combine this script with full database backups because it will break full-differential sequence.